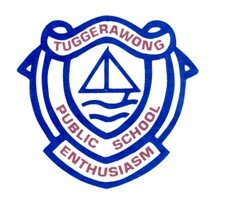 Tuggerawong Public School, established in 1957, is located in the Wyong Shire of the Central Coast of NSW. The majority of students live within a 1.6 km radius of the school from the suburbs of Tuggerawong and Wyongah. The mission statement, developed by the school community, is based on the school motto "Participate with Enthusiasm". Our mission is to enable children to achieve their full potential through enthusiastic participation by all. The staff work collaboratively to ensure their students care for others, have high self-esteem, have strong academic skills in problem solving, thinking, communication and decision-making, and who are self directed learners. Tuggerawong Public School values positive relationships between students, teachers and parents focused on collaboration and school improvement.